The Strongest Stimulant Formula Available! The Strongest Stimulant Formula Available!The Strongest Stimulant Formula Available! 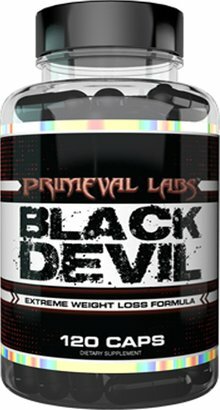 Primeval Labs Black Devil is unlike anything else on the market today and possibly ever. Our formula has taken months and months of reformulating to get the desired effect. Nothing we do here at Primeval Labs is intended to be subpar or just another product in a lineup of products. We expect the best just like our customers expect when they purchase a bottle of Primeval Labs product. 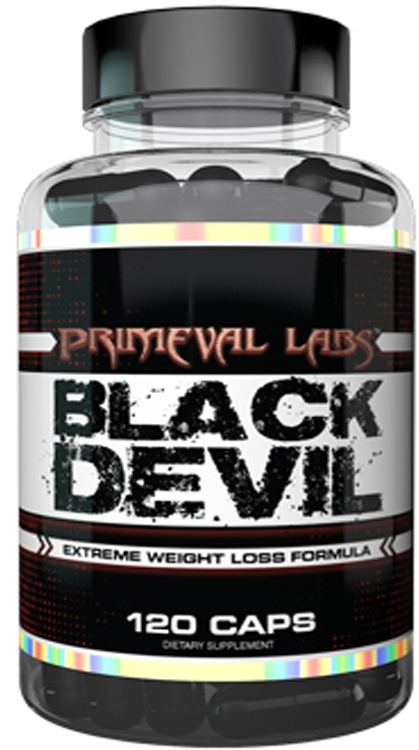 Black Devil is an extremely strong stimulant based fat burner. Combining the power of multiple stimulants and focus enhancing agents Black Devil will give you an instant rush like nothing else before. A key factor when formulating Black Devil was utilizing a missing link in many of the current fat burners available today, focus. When times get tough and you are deep into a diet the last thing you want to do is lose focus and fall, the utilization of focus ingredients ensures that you will rise to the occasion and give you an edge. Are you ready to BURN fat like never before? Get Black Devil with the strongest stimulant fat burner on the market today? Black Devil, second to none!